The reduced “slack” in the economy is a another way of saying the economy is improving, giving the bank a little more wiggle room to act on interest rates. These recent comments have caused one major bank to alter their key interest rate (also called the overnight rate) outlook. 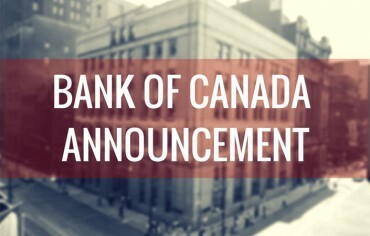 According to BMO, the Bank of Canada will raise the key interest rate as early as January 2013. 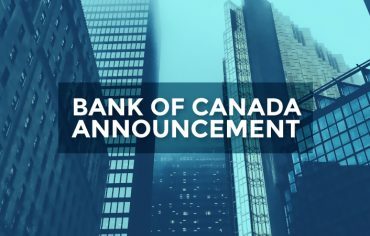 And Avery Shenfeld of CIBC believes that the BoC will have three rate hikes of 0.25%, raising the overnight rate to 1.75% before pausing; although, he did not specify when these hikes would occur. 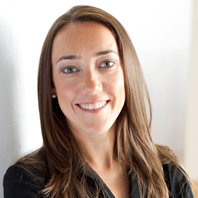 The overnight rate is important to track because they drive variable mortgage rates. 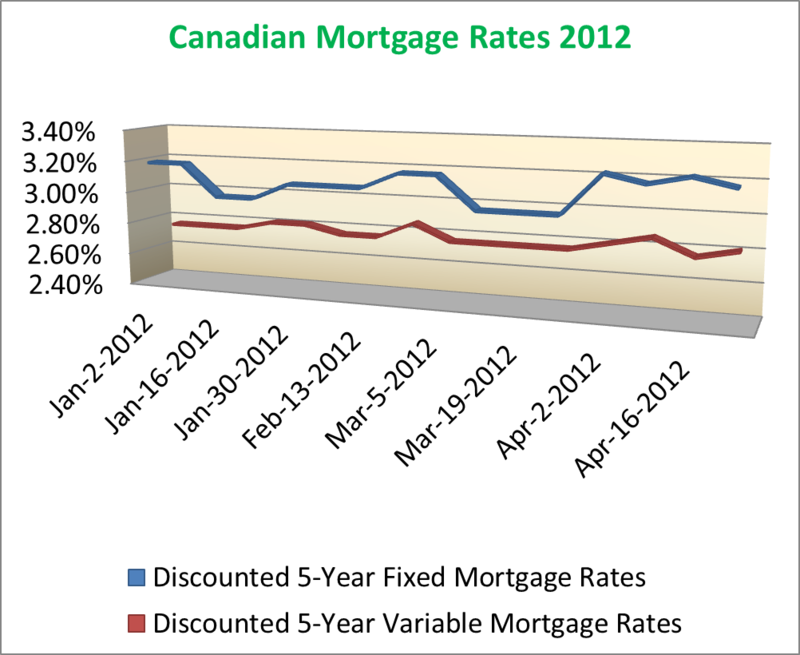 So, an increase in the overnight rate would lead to an increase in variable interest rates. Here is a great chart put together by Sudip Adhikari of The Canadian Mortgage Advisor detailing the key interest rate outlook by BMO, RBC, and TD. 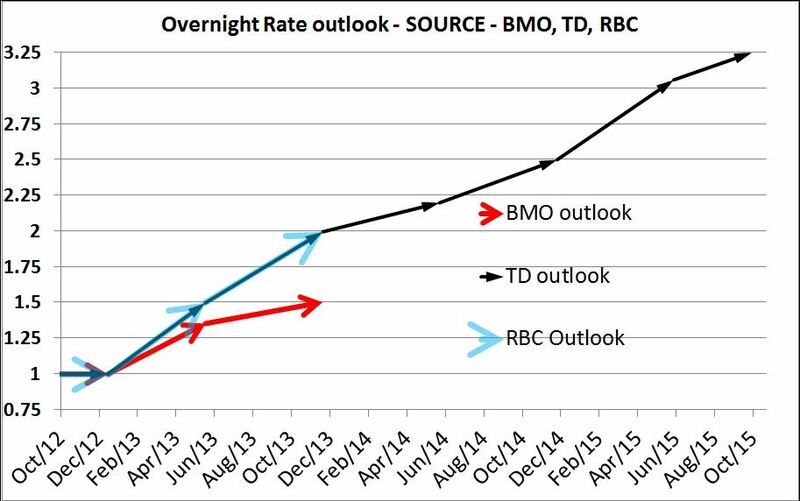 *note that BMO recently changed their outlook to an overnight rate hike by January 2013. 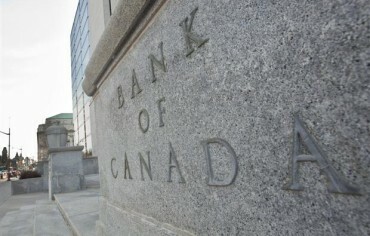 Most of the big Canadian banks haven’t moved since the end of the mortgage wars. The most recent activity occurred two weeks ago when National Bank raised their 3-year fixed rate from 2.79% to 3.95%, aligning itself among the Big Five offerings of 3.95% to 3.99%. 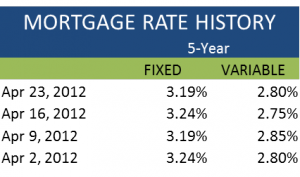 Currently, the best 3-year fixed rate available on Ratehub.ca is 2.79%.